Mankind has had a Fascination with the Werewolf for Centuries. A werewolf, also referred to as lycanthrope or wolfman, is a person who has the ability to change themselves into a wolf or wolf-like creature. Werewolves were generally believed to have been caused by either a curse or a bite from a werewolf. Legends describe many different ways for becoming a werewolf. In some legends all that was required was for a person to remove all human clothing and put on a clothing made of wolf skin. Old folklore also included magic potion or salve or drinking water from the werewolf's footprint as a way to become a werewolf. In Russian folklore any child that is born on December 24 will be a werewolf. Popular fiction writers have heavily influenced our ideas about the nature of werewolves. 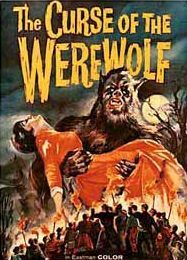 In popular Hollywood movies and in stories the werewolf is often associated with the full moon. 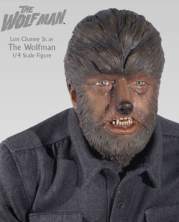 In truth a full moon has rarely ever been associated with a werewolf appearance or transformation. The notion that a werewolf can only be killed by a silver bullet is also a recent addition. The silver bullet wasn't a part of the older folk legends. A person being turning into a werewolf as a result of being bitten is also very rare in folklore. In early legends a werewolf attack rarely allowed it's victim to live long enough to make a transformation. These idea have been picked up by writers of fiction and popularized to the point where they are thought of as common knowledge truth. Where Did We Get the Idea That Werewolves existed? Many writers have theorized that werewolf legends started as attempts to describe serial killings. Some modern day serial killers cannibalize and mutilate their victims in much the same way as the werewolves described in legend. It has also been suggested that ergot poisoning was to blame for werewolf stories. Ergot is a fungus that grows in rye grains. Poisoning from this fungus is known to cause hallucinations, convulsions, mass hysteria and even death. Modern medical thinking attempts to answer this question using conditions or diseases. Afflictions such as rabies, porphyria or hypertrichosis are purported to explain the origins of the werewolf story. Sufferers of porphyria exhibit unusually hairy face and hands and red teeth. Hypertrichosis causes excessive growth of hair on all parts of the body. Is it possible that victims of these conditions were mistaken for werewolves? Lycanthropy is a mental disorder where the person believes they are changing into another animal, but not usually a werewolf. The only werewolf in Georgia's history is said to be buried in O'Neal's District in Talbot County. Some of the older citizens can tell the story of the unlikely person who could turn into a werewolf at will to maraud among the sheep. Local residents complained that many of their sheep were being attacked, even with several guards standing post. And the dead sheep were never eaten by their attacker, it seemed to kill simply for the joy of killing. The species of the animal was unknown. Some thought that it may be a grey wolf but the animal's tracks were not like those of a grey wolf. Land owners began to increase security. They made new traps. More guards were placed over the sheep at night. Professional hunters were brought in and new rifles were purchased. They were never able to kill the creature. A couple of times a hunter was able to shoot the animal from a distance but could not bring it down. One farmer that had suffered more extensive losses than the others swore that he would kill the animal. He offered a $200 reward to anyone that killed it. One day the farmer received a note asking him to go to the farm of a new settler. The farmer did as the note said and he met the new settler. The person who had sent the note was a hard-working and religious man. "Back home in Bohemia, we had this same problem. People lose their sheep for months until someone nearby tells us of the werewolf legend. The werewolf loves to kill for fun, just to taste the blood. So we villagers did the same thing I am asking you to do. Here is my silver cross. Take it and melt it into the shape of a bullet. It is the only way a werewolf can be stopped." The farmer melted down the cross and fitted it into his own rifle. He sat with his flock to wait for the animal. He wasn't kept waiting for long. On the second night, the beast came to the flock he was guarding and began its nightly slaughter. He took aim at the animal and fired. The animal cried out a piercing scream, but it sounded more like the sound of a woman screaming than an animal. The farmer ran to check to see if he had killed it, but it was nowhere to be found. Instead, however, he found the left front foot of the beast, where the silver bullet had cleanly sliced it off. The slaughters stopped from then on. It was not until years later that the town doctor revealed on the very night of the shot he had bandaged a young woman's arm for what looked like the damage from a bullet which had taken off her entire hand and wrist. This entire page is Copyright © 2007 True Ghost Tales all rights reserved. No part of this story may be used without permission.